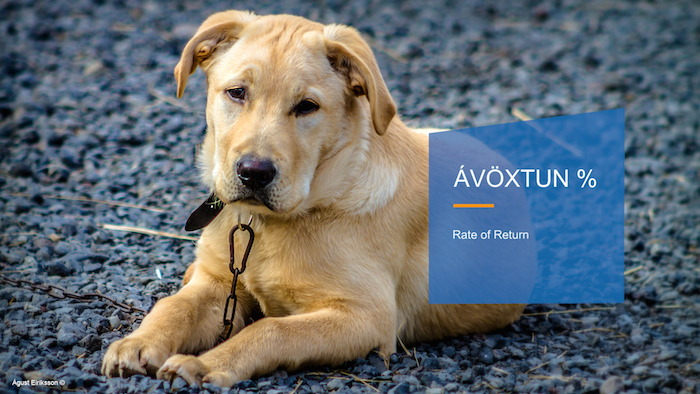 The exhibition ÁVÖXTUN % (which translates into English as “Rate of Return %”) curated by H.K. Rannversson at Reykjavik Art Museum revolves first and foremost around its economical premises, which is the artist’s fee. Instead of using the fee to produce art, Saemundur Thor Helgason decided to invest the sum. 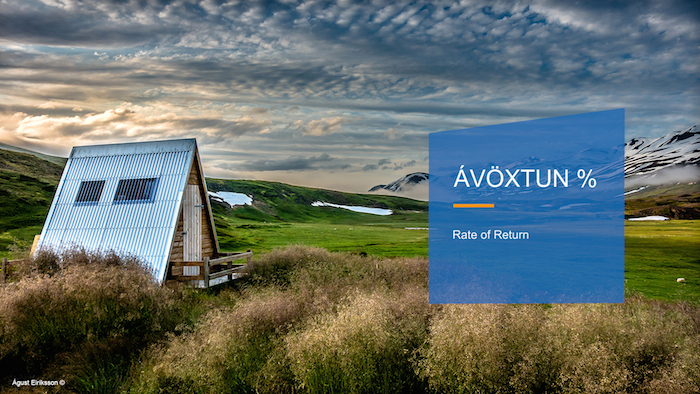 He contacted Icelandic banks and received financial advice looking into different ways of return. He interpreted the banks’ advice and laid out their suggestions on large wall posters that were displayed at the exhibition. To avoid the material cost of the exhibition and maximize the return of his fee, the artist decided to seek sponsorship from ARTIS market solutions, a company specializing in printing and labelling for Icelandic businesses. In return the artist offered the company a large part of the exhibition space for their advertisements that now cover the pillars and the floor of the space. For this reason, the exhibition is marked by the aesthetics of the market. 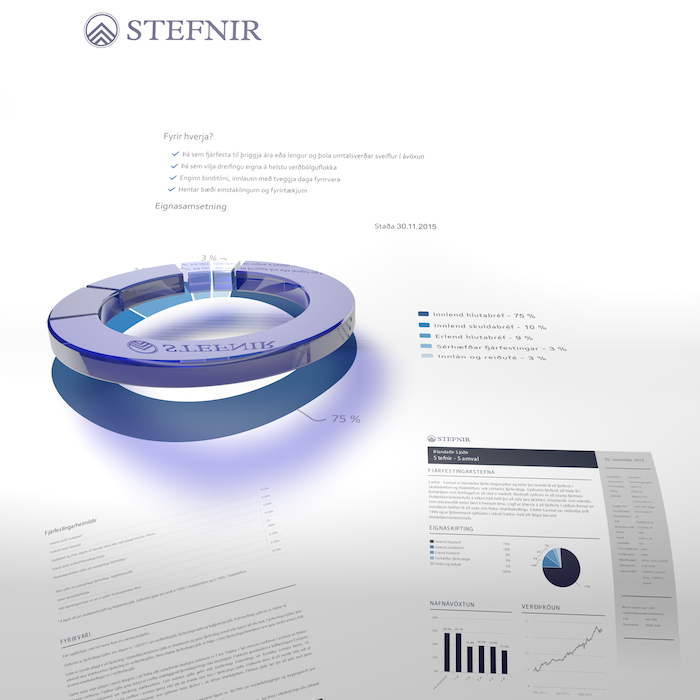 The same goes for the exhibition’s promotional material. Videos that can be seen outside the exhibition space are inspired by advertising from financial businesses. The videos are shot in the exhibition space starring Sigurður Àmundason, an Icelandic performance artist, dressed up in a business suite designed by JÖR. The videos function as adverts for the exhibition as well as the sponsoring companies. 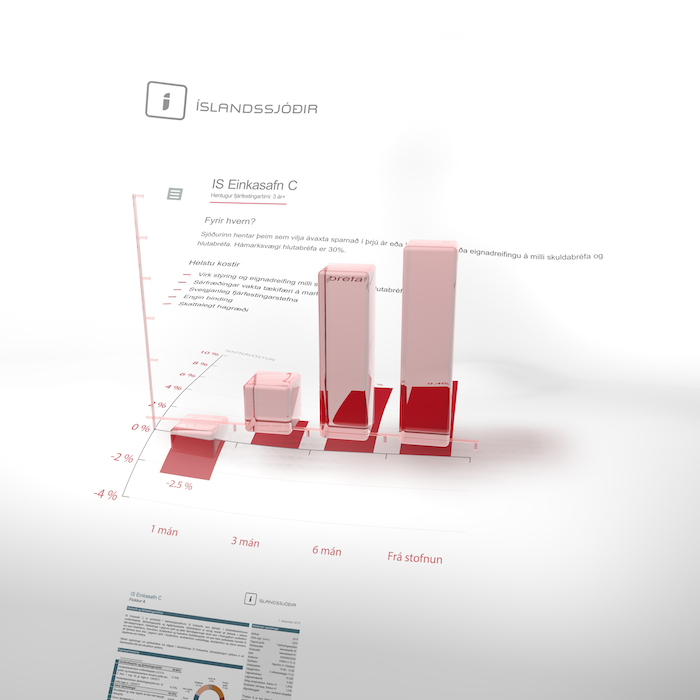 The layout of the promotional material is graphically assimilated from Arionbank one of the main banks in Iceland. In the exhibition the dream of making a living from art has been taken seriously and put in context with the marketization and individualism of today. Here, the practice of the artist is also linked to the activities of the market that aims to return the greatest profit with minimal effort. In this sense, the work can be viewed as white-collar art, referring to a comfortable job that doesn’t require manual labour – Art as business. Saemundur Thor Helgason, Rate of Return % (2016). Documentation. Courtesy the artist.